I’ve been riding for over 45 years and I still consider myself an apprentice ! I’ve evented to BE Novice, had a go at BSJA, done everything RC and most things unaffiliated and am considering BD this year. I’ve tried most things – barefoot, bitless, treeless, stabled, paddock paradise, rugged, naked (horse, not me) and am still learning !! I am really looking forward to the challenge of becoming Chairperson of BBC and maintaining the lovely friendly, and supportive environment that makes this club second to none. I have had a passion for horses for the last 50 plus years. I began riding as a child but gave up in my teens, it wasn’t until my daughter showed the same passion in horses that I took an interest once again. I owned my first horse an Arabian Mare at the grand age of 40, however these days I just potter about on my daughters Arab mare Calli and help with her youngsters. 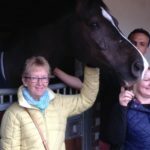 I became a member of Bewdley Bridle Club due to my daughter Jacqui and have been on the committee for over 7 years in numerous roles. I have been a member of Bewdley Bridle club for the past 5 years and joined the committee shortly afterwards. 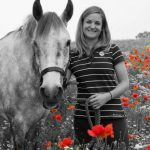 My first role on the committee was organising the Sophie Cox flatwork training, this however has progressed to also being Club Treasurer which is a much more challenging role. 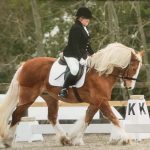 Horses have been my life long passion and I very much enjoy attending training, competing and going to adult camp. 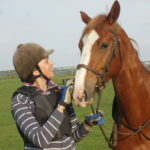 I have owned my own horses for over 22 years and have bred a sports horse with the hope to event them in the future. 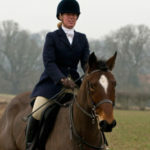 I have competed in Dressage, Showjumping, one day events and county level Showing. I have been a member of Bewdley Bridle Club for over 10 years and have enjoyed all aspects of the club, the training on offer, camps, ability to compete in the teams and meeting new people with the same passion. I joined the committee a few years ago taking on board the memberships. This is now my fourth year on the committee and have been a member for a few years now. I love being part of teams and have represented the club at both Mercian and Area level. I am currently the Mercian Representative, so if you would like to be on a team please get in contact there is an event for everyone. I organise the Karen Oliver training at Pound Green and this is my third year with the bridle club. 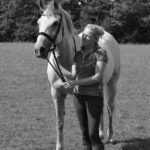 I currently own 3 horses of different ages and types, who have all attended various training sessions and with the support of the trainers have improve no end. Since being in the club my riding and confidence has improved so much and I owe this to the great (patient) trainers and the lovely friends I have made since joining. Horses are an everyday part of my life and I currently own two and compete in BD Quest dressage. 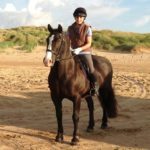 Having recently acquired a new horse I understand the joy and sometimes frustration that comes with owning a new stead and that’s why I find the riding club an invaluable support for different training and clinics. I have been an active member of the club for many years now and joined the committee in 2017. My main role is organising training and supporting at competitions. 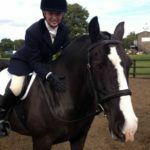 I have been a member since 2015 and was lucky enough to attend the first ever BBC camp, I’ve also attended SJ and flatwork clinics, ridden on the drill rides and competed at Mercian level for the club with my Connemara gelding Barney. I joined the committee in 2019 and I organise the Jon Rogers Show Jumping clinics held fortnightly at Pound Green, as well as Dressage To Music demos and clinics.